Prostrate, obovate to oblong, cca. 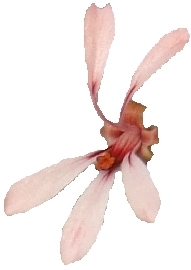 5-10 x 10-15 mm, lamina entire or (shallowly) lobed, hirsute with long glandular hairs and long hairs along the border. Branched, pseudo-umbels few-flowered. Peduncle hirsute with long glandular hairs and short patent hairs, pedicel ~0.5 mm. 5, recurved, 1-1.5 x 5-6 mm. 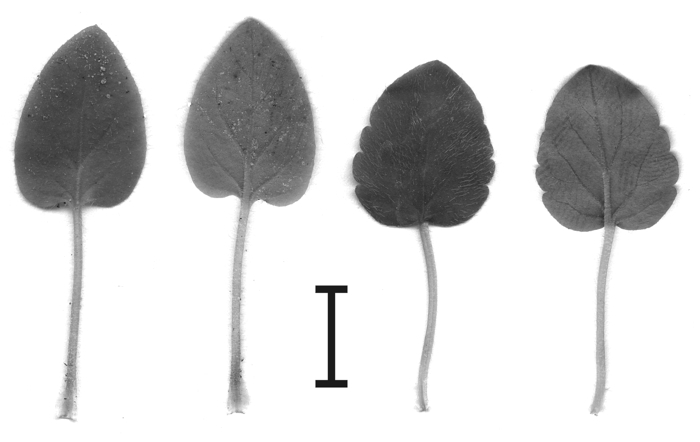 Hypanthium 10-13 mm, with long glandular and non-glandular hairs, reddish. Petals pink with red streaks. 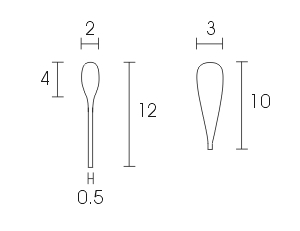 Posterior two racket-like 2 x 12 mm, gradually recurved at 90 deg, anterior three 3 x 10 mm, spathulate. 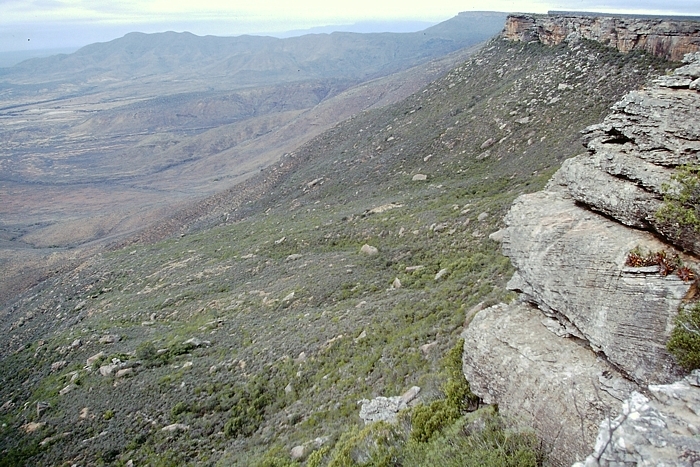 The remote slopes and gorges of the Oorlogskloof National Park in the N Cape Province are rarely visited and although paths are maintained, these are difficult to navigate. There must be other gems in hiding here. 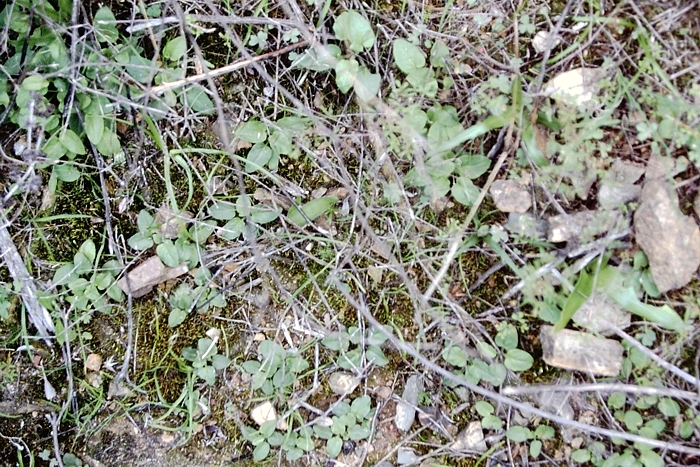 The top of the escarpment hosts other rare species, such as P. reflexum. 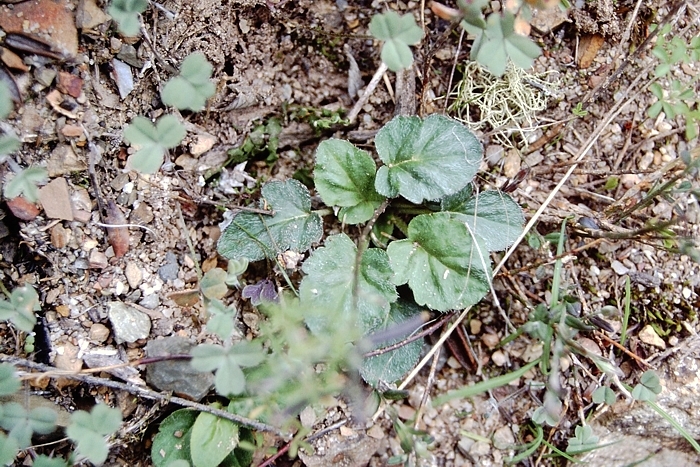 The plants are locally abundant, here a whole colony, but tend to be short lived, at least in cultivation. 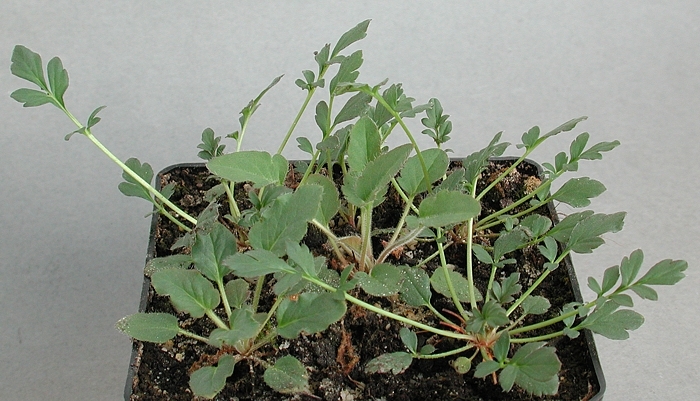 Adult specimens develop only very small tubers and probably do not like dry summers at all. 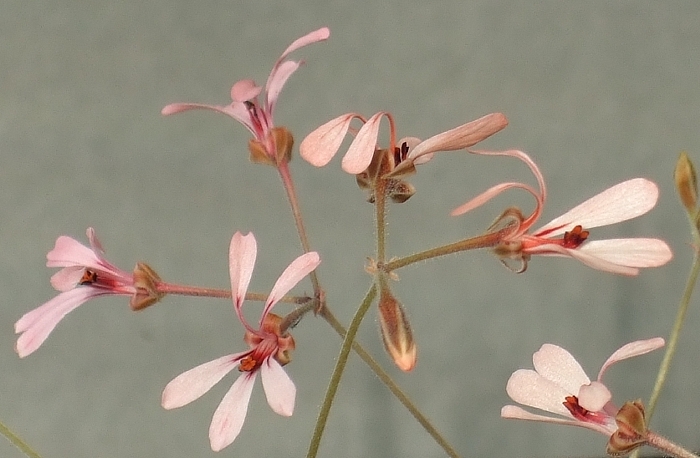 This is a minute and delightful species, much smaller than most other hoareas. Thissite and all subpages were created and are maintained by Matija Strlic. All photos ©Matija Strlic unless otherwise indicated, 2000-2015.